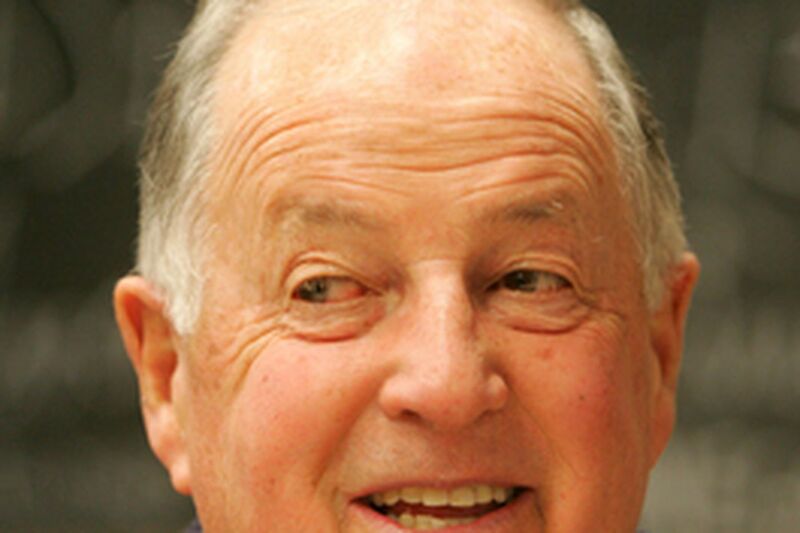 Jim Salisbury | Pat Gillick: The GM still does some things the old-fashioned way. CLEARWATER, Fla. - Pat Gillick's cell phone is like Barney Fife's bullet. It's in his pocket, but he doesn't use it. He seldom even turns the phone on. E-mails? Yeah, the Phillies' general manager has an e-mail address, but he checks it only once a week - on Saturdays. The rest of the time, his secretary checks it. Fax machines? Let's not go there. Text messages? Are you kidding? In an era when most of his counterparts do business over their BlackBerrys, Gillick is an old-schooler who prefers his interaction with others to be technology-free. Why pick up the phone and call a player when you can fly six hours and speak to him face-to-face? Why go through an intermediary - i.e., an agent - when you can converse directly with someone? "I don't know how you can get a feel for a guy or know his intentions without looking him in the eye," Gillick said. "It's the way I've always done it. Some players are shocked when you do it. All their dealings with a GM have been through an agent." Gillick, possibly the most energetic 69-year-old on the planet, put in more roadwork than a marathoner this winter. He made two trips to Seattle to visit Jamie Moyer and Adam Eaton. He had lunch with Mark DeRosa in Atlanta, then drove to Alabama for dinner with Wes Helms, who said Gillick's visit was the biggest reason he wanted to be a Phillie. Gillick went to Los Angeles to try to persuade Randy Wolf to return to the Phillies. He had dinner with Alfonso Soriano in Fort Lauderdale and another meeting with the slugger in Naples, Fla., a few weeks later. It wasn't just free agents that Gillick traveled to see. He flew to Jacksonville, Fla., on a whim to hang out with Brett Myers and jetted to Phoenix for dinner with Pat Burrell. In his 26th season as a GM with his fourth club, Gillick figures he has "a couple of million" frequent-flier miles in the bank, most of them racked up in the quest to learn more about players. Scouting trips, you could say. "People ask if we use stats in our evaluation of players," Gillick said. "Of course we do. But I still think the physical evaluation of a player, that which you do with your eyes, is most important. That extends off the field into evaluating what type of guy he is." Gillick wanted to learn more about what made Myers tick, a wise move before he lavished a three-year, $25.75 million contract on the pitcher. The GM phoned Myers and asked whether he could come for a visit. Gillick watched a Jaguars game with Myers and his family at Myers' home. "I had a free Sunday, so I figured I'd make it useful," Gillick said. "With my senior-citizen discount, I flew down there for 100 bucks on Southwest. I came back that night." Myers rolled out the red carpet for Gillick. "I was on a diet, so I only had finger food," he said. "Pat didn't eat anything. I offered to get him something at Subway, but he didn't want anything. I was surprised he wanted to come down, but it was fun." Burrell had been the subject of trade rumors, so Gillick invited him to dinner to give him the lay of the land and offer encouragement because "I thought he needed a little boost," he said. Burrell recalled the dinner meeting. "My steak was so hot, it broke my plate," he said with a laugh. "I thought that was a bad sign. But we had a great talk. Pat likes to get a feel for what the person is about, but it works both ways. It tells you what kind of person he is." Wolf was impressed that Gillick simply didn't fax a contract offer. He went to Los Angeles and had dinner with the pitcher and his girlfriend. "Pat's a very up-front guy," said Wolf, who ended up signing with his hometown Dodgers. "He earned a lot of my respect going through the process. I had heard good things about him, and I understood why after getting to know him. He's not a schmoozer. He's not a used-car salesman." Gillick weighs every bit of information he gathers in his conversations with a player. With Myers, he learned that the pitcher, two years from free agency, genuinely wanted to make a long-term go of it in Philadelphia. Sometimes Gillick learns something he doesn't want to hear. For instance, Wolf's girlfriend offered that she'd taken her cats to California. "Uh-oh," Gillick said to himself. Another time, as Seattle's GM, Gillick dined with a player he was pursuing. "All the guy did was talk about where he wanted to hit in the lineup and how many bases he wanted to steal," Gillick said. "Not once did he ask about the team or talk about winning. I walked out knowing I didn't want him." You can't gather this information through an agent. They are advocates for their players. They always try to paint their players in the best light. Gillick loves hearing good things about players, but he knows he must validate that information. And it's always best to do that in person.